Printing technology has considerably developed as time passes by. Whether you are a student or professional, printers are one of the essential things you need. Printers have been a great tool in printing important matters either for school, office, or your own business. However, choosing the right printer for you can be tough. With so many options out there in the market, it is hard to select which is the best one. You can actually view the range of printers online to see what matches your preferences, but sometimes, reading about the specs is just not enough. You also have to read reviews and product comparisons to really know which one is the perfect printer. One of the most significant things that you need to keep in mind prior to purchasing a printer is what type you really need. In fact, there are several types of printers available out there that fits your needs and preferences. You can consider inkjet printers for daily home and photographic use. Generally, these are great for delivering higher quality photos than laser printers. Moreover, if you are to print large amount of documents, it is highly recommended to choose a laser printer. This type of printer is ideal for offices that demand major use. You may also opt for all-in-one printers, which has a printer, copier, and scanner. These provide you all the things you need in home or office printing. 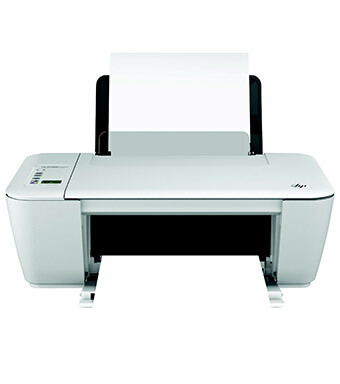 Some all-in-one printers also come with fax machines, which is a useful tool for busy small offices. Whenever you plan to buy something, especially technology stuff, it is important to know the features and specifications first. Compare and view the range of printers to identify if a specific model will work for your needs. It does not really matter what size or shape you want to purchase. Instead, you have to look for the features that will benefit you in the long run. You need to consider the resolution of the printer you are eyeing for. This refers to the maximum number of dots per inch (dpi) that can be printed. The more dpi the printer has, the better and higher its resolution will be. More so, the connectivity feature of the printer should be checked too. These days, all printers have a USB 2.0 port. You can actually connect your printers to a computer through USB, making it easier and more convenient for everyone to produce printer copies of documents. You also have to know the print speeds of a printer. This measures the photos or pages per minute (ppm) a printer produces. Selecting the perfect printer can be a daunting task. You really need to do your research before purchasing one. Apparently, the simple guide mentioned above will help you in choosing the ideal printer that meets all your needs and desires. You just have to determine your purpose and you will eventually decide what type of printer really works for you. This way, you will be able to get the printer that is worthy of the price, quality, and functionality.